“As students, we are not only given these opportunities to advance our professional network, but to observe how someone like Jonny Goood successfully conducts business." 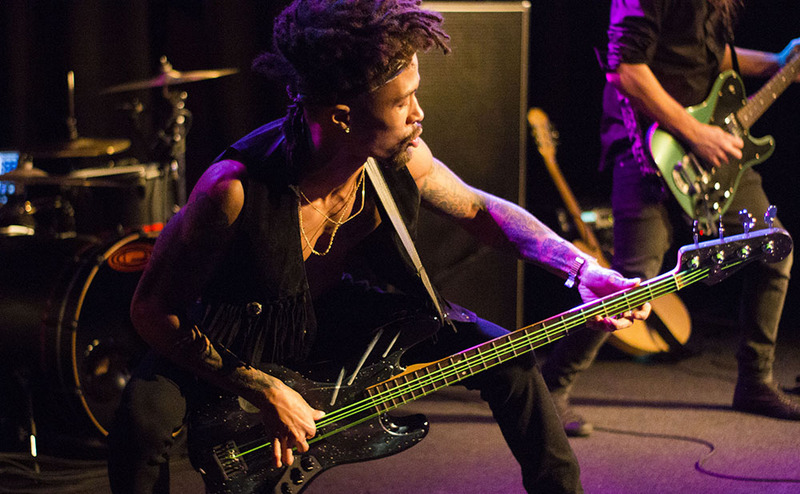 Point Park University’s Business of Live Entertainment class and student-run record label Pioneer Records secured Jonny Goood — official bassist for Lady Gaga — for a Nov. 26 concert at The Club at Stage AE. A Pittsburgh native, Goood was accompanied by Pittsburgh rapper Benji, DJ Femi featuring hip-hop artist Skeli Wizzle. “As students, we are not only given these opportunities to advance our professional network, but to observe how someone like Jonny Goood successfully conducts business,” said Tom Churchill, a senior sports, arts and entertainment management major from Upper St. Clair High School in Pittsburgh, Pa.
Morgan Sealy, a junior SAEM major from Waynesburg Central High School in Waynesburg, Pa., believes Goood will elevate Pittsburgh’s reputation as a music city. “He’s a new source of inspiration,” added senior SAEM major Matt Whitaker from Buckhorn High School in Buckhorn, Ky.
Goood currently lives in Los Angeles, but plans to move back to Pittsburgh to help cultivate a more vibrant music scene in his hometown. 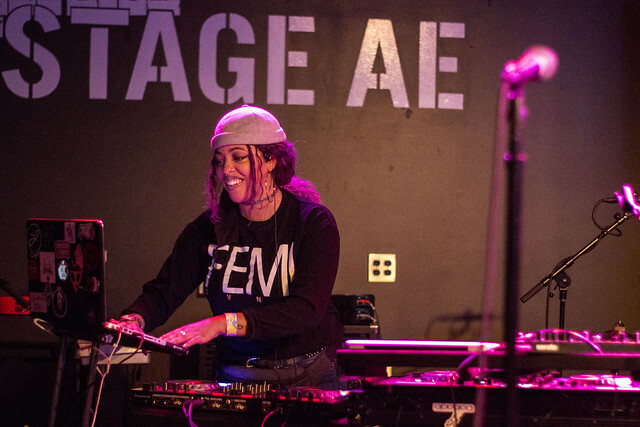 According to Megan Clista, a sophomore SAEM major from Cumberland Valley High School in Mechanicsburg, Pa., and director of marketing for Pioneer Records, Goood’s high-energy performance was well received by the audience. “He has distinguished himself from other artists with his unique mixture of funk, hip-hop, rock and rap influences. Goood’s combined childhood and law enforcement experiences provide a unique perspective reflected in his lyrics. His music conveys an overwhelming feeling of inclusivity, transparency and generated conversation around social acceptance,” she explained. "Having Jonny Goood perform for our students at The Club at Stage AE was such a blast. He's such an enthusiastic and positive person and wants to give back to Pittsburgh in any way he can. We were also lucky to get him immediately before he headed back to LA for Lady Gaga rehearsals,” said SAEM Associate Professor Ed Traversari, MBA, who teaches the Business of Live Entertainment class and helps the students manage Pioneer Records.